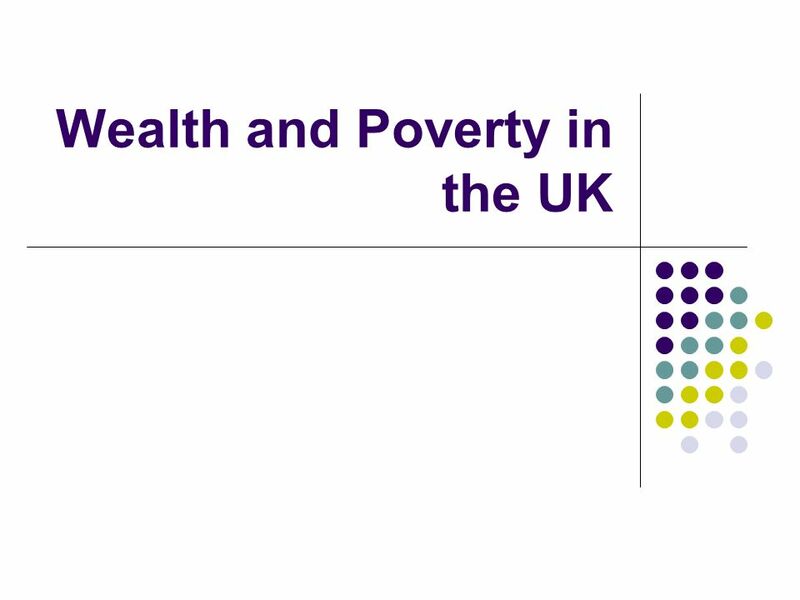 Wealth and Poverty in the UK. How is Wealth measured? Wealth is made up of the assets that are owned by people living in a country: Housing Housing State. 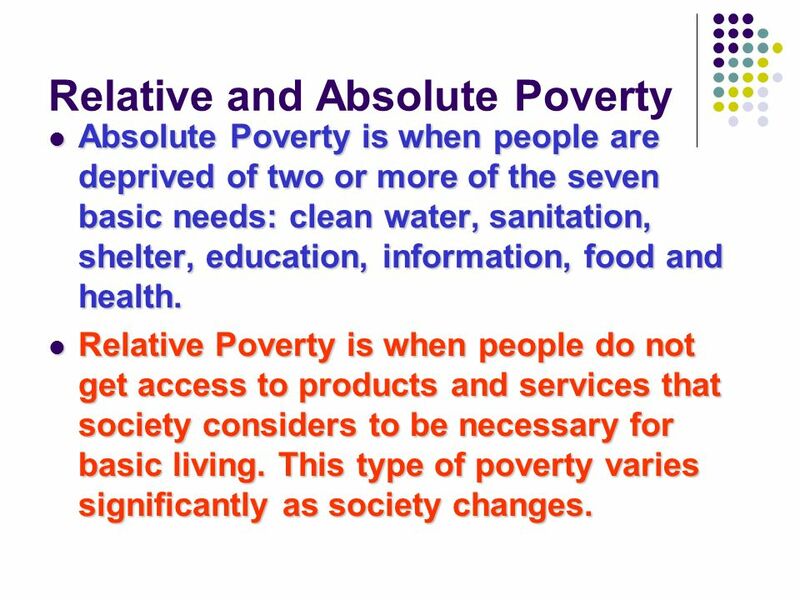 5 Relative and Absolute Poverty Absolute Poverty is when people are deprived of two or more of the seven basic needs: clean water, sanitation, shelter, education, information, food and health. Absolute Poverty is when people are deprived of two or more of the seven basic needs: clean water, sanitation, shelter, education, information, food and health. Relative Poverty is when people do not get access to products and services that society considers to be necessary for basic living. This type of poverty varies significantly as society changes. Relative Poverty is when people do not get access to products and services that society considers to be necessary for basic living. This type of poverty varies significantly as society changes. 9 Tasks Read pages 5-7 and answer the following questions. 1. 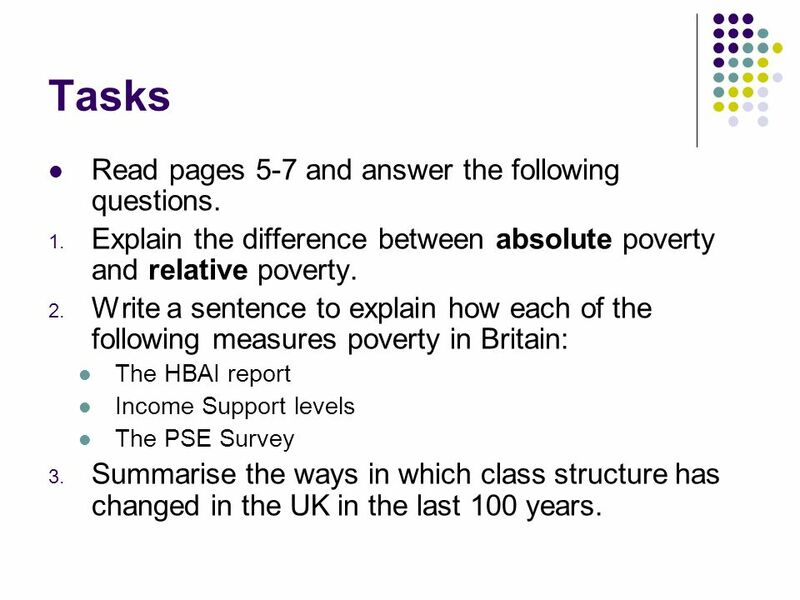 Explain the difference between absolute poverty and relative poverty. 2. 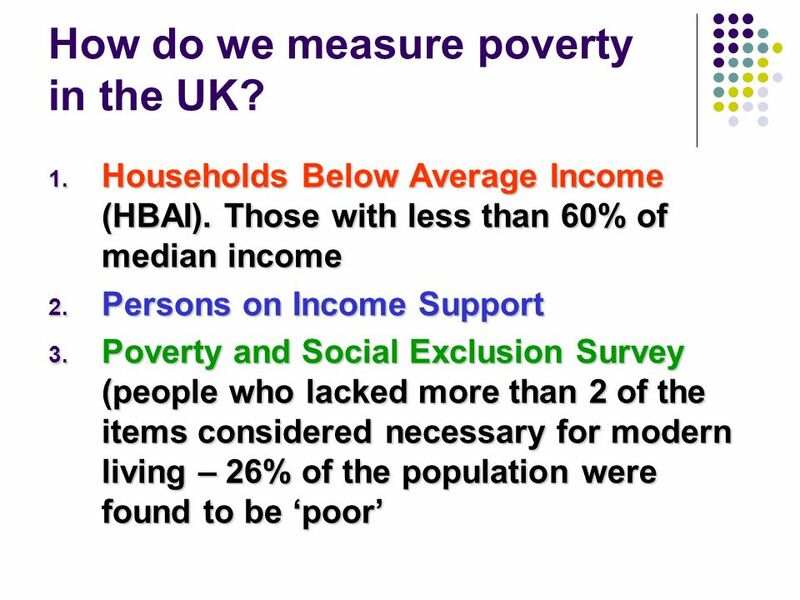 Write a sentence to explain how each of the following measures poverty in Britain: The HBAI report Income Support levels The PSE Survey 3. Summarise the ways in which class structure has changed in the UK in the last 100 years. 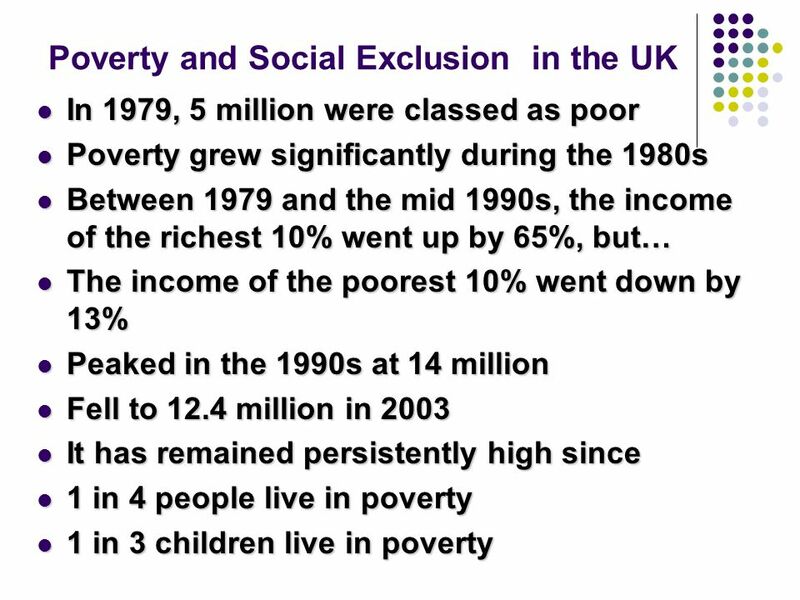 Download ppt "Wealth and Poverty in the UK. 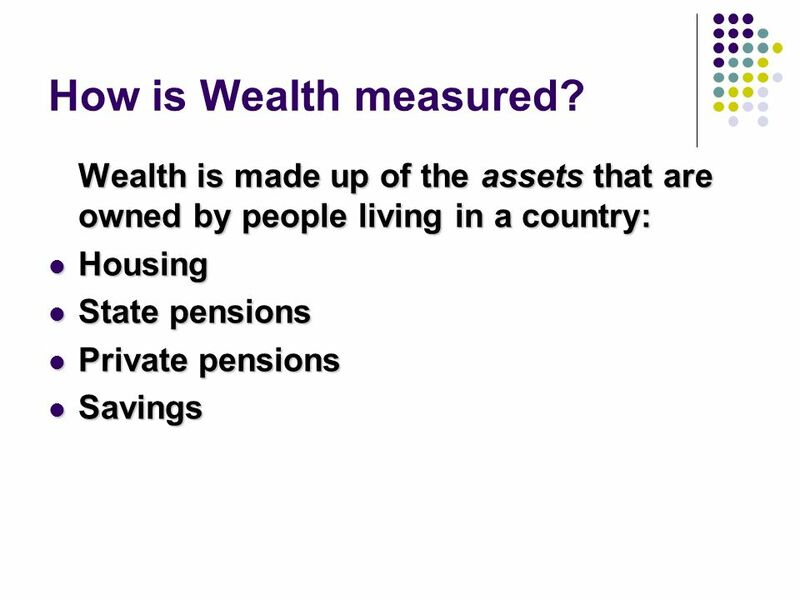 How is Wealth measured? Wealth is made up of the assets that are owned by people living in a country: Housing Housing State." Inequalities between households in the national accounts: Breakdown of household accounts Maryse FESSEAU France – Insee National Accounts Department. Inequalities In Wealth Gross Domestic Product (GDP) measures the wealth or income of a country. It is calculated by adding together the total value of. Employment and Unemployment. Employment 76% of people who are employed work in the tertiary sector. 22% work in the secondary sector. 2% work in the primary. 1 Purchasing Power Parity and poverty comparisons Jed Friedman / Andrew Dabalen/ Ruslan Yemtsov. Time for Change: The Hidden Cost of a Fragmented Health Insurance System Karen Davis President, The Commonwealth Fund Testimony to the Senate Aging Committee. Figure ES-1. How Well Do Different Strategies Meet Principles for Health Insurance Reform? Principles for Reform Tax Incentives and Individual Insurance. Using the FRS to measure material deprivation in families with children Stephen McKay University of Birmingham FRS User Group 10 June. 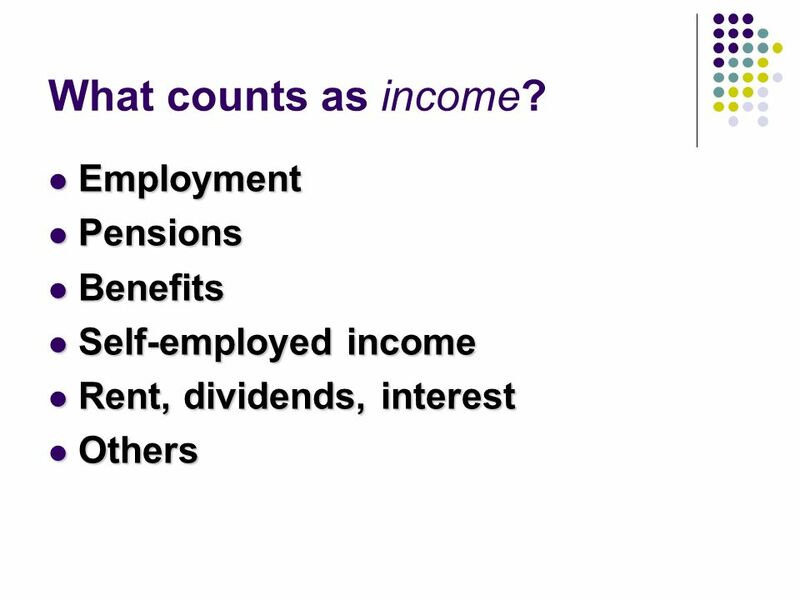 Households Below Average Income 23 rd April 2007 Presentation at FRS User Group Meeting By Nick Herbert - DWP. 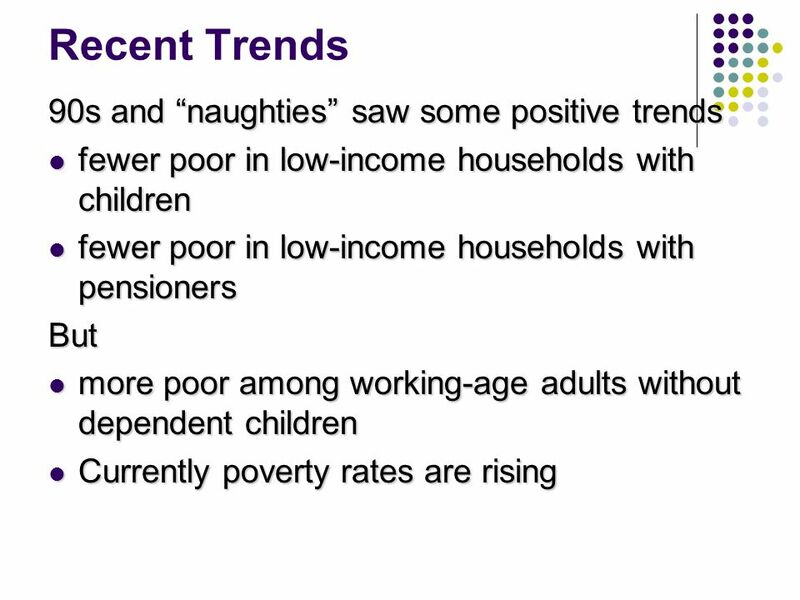 Looking forward to the 2006/07 HBAI publication: New analyses and improvements Peter Matejic (DWP) Households Below Average Income ESDS Government FRS.